Former professional footballer Jon Whitney initially went into physiotherapy after retiring having played around 200 first team appearances. 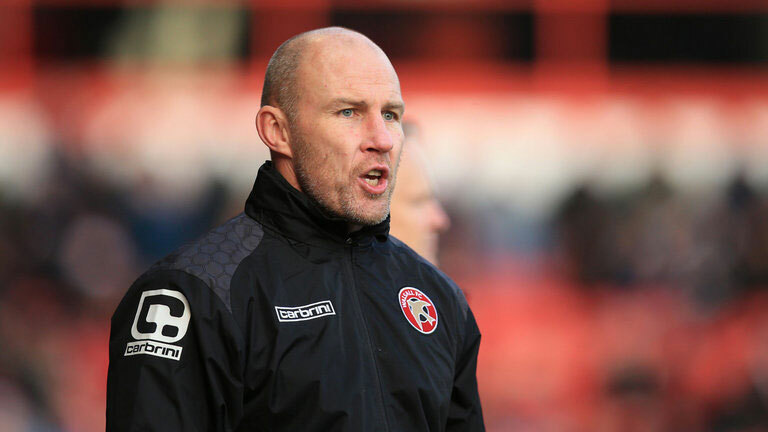 It was via the physiotherapy route that he first found a route into coaching, becoming Walsall physio late in 2003, then stepping up to assist Dean Smith with first-team affairs. He was appointed manager of the midlands club in the summer of 2016 until his dismissal nearly two years later. Whitney put his faith in younger players from the club’s academy, a route which he admits probably cost him his job, but maintains he would follow the same path again. While looking to find a new coaching role, Whitney is completing his UEFA ‘A’ Licence. In addition, as a qualified physio and sports scientist with a passion for athletic development and human performance, Whitney has developed a training concept called Fast Zone. The idea of Fast Zone (Fast stands for Functional and Sports Specific Strength Training) is to prepare an athlete for the game integrating sports science and modern coaching methods. When presenting the concept to the London Football Coaches Association, Whitney commented that it was like taking the gym out onto the pitch. 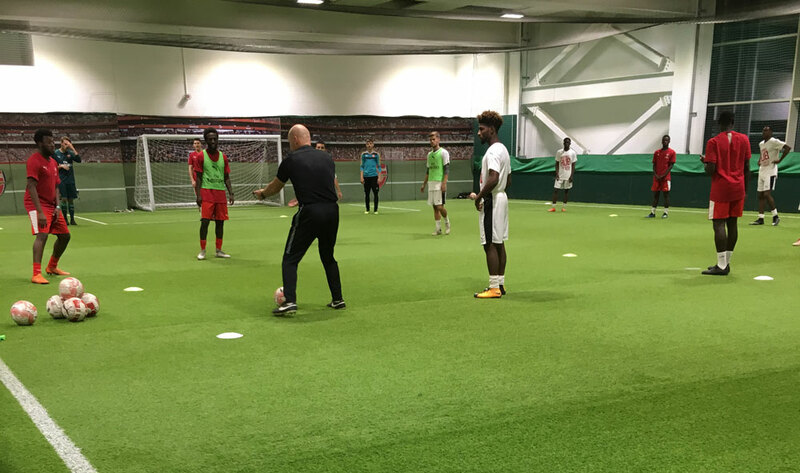 The progressive sessions incorporate the model used by the English FA of integrating Physical, Technical, Social and Psychological elements, and look to improve performance levels while also reducing the risk of injury. Whitney’s Walsall teams had one of the best injury records in English football. Subscribe to our weekly newsletter and receive the essential Fast Zone practices. As someone focused on sports science, as you might expect for a man in his late 40s, Whitney is in very good shape himself. 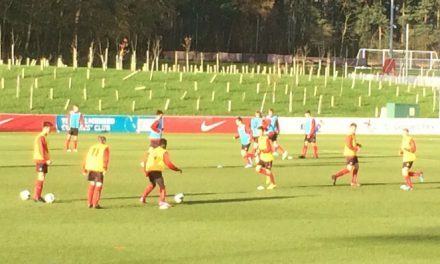 He believes that the energy a coach puts into a session will be reflected in the level of enthusiasm and performance the players will produce, and this was evident from the start. The former Walsall coach initially got the group of players, from Arsenal’s community programme, to divide themselves into four teams, nominate a captain, and select a team-name based on their values, straight away bringing in the social element of the game. The session move on to “Preps”, which is Whitney’s name for warm-ups. Whitney believes that players can go straight into exercises like this without any stretches either static or dynamic. Whitney maintains that the best exercises for football players are lunges and squats to build leg strength, but also mentioned afterwards that simple resistance bands and hooks on a wall can be used instead of gym equipment for strength training away from the pitch. The exercises were in quick bursts – five to seven seconds at a time followed by rest. This is the amount of high intensity time in a player’s muscles naturally. This amount of time was appropriate for the session which moved on to focus on pressing. 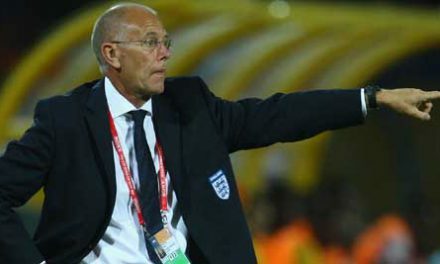 Whitney believes that pressing should not be over a longer distance than five to ten yards, and otherwise players should look to protect space and cover passing lines. The session focused on timing of the press, and triggers such as the opponent head going down or a poor touch. In the post-session debrief, like many coaches, Whitney discussed looking at other sports and gave the example of similar types of movement patterns used in NFL training. His coaching method as already discussed is one of high energy and enthusiasm, smiling, constructive feedback not destructive and developing good core values. He continues to look for coaching opportunities in the game while developing the Fast Zone concept, which can be used for adults and children alike.